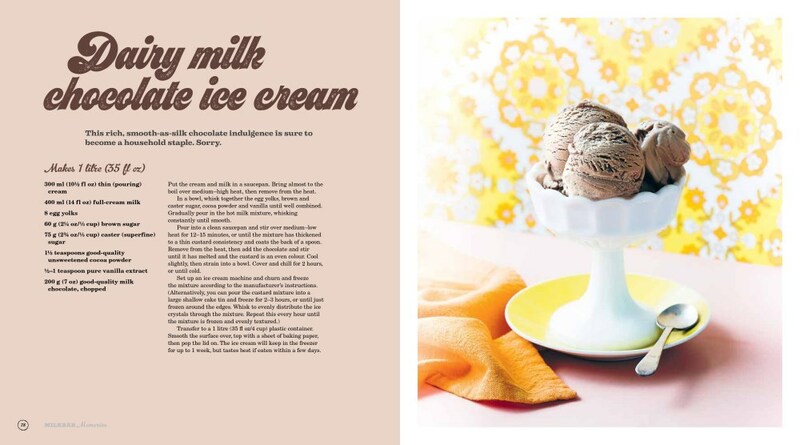 Retro in style and theme, but very much a contemporary cookbook in its approach, Milkbar Memories is the author's ode to wonderful old-fashioned treats connected with her 1970s childhood. 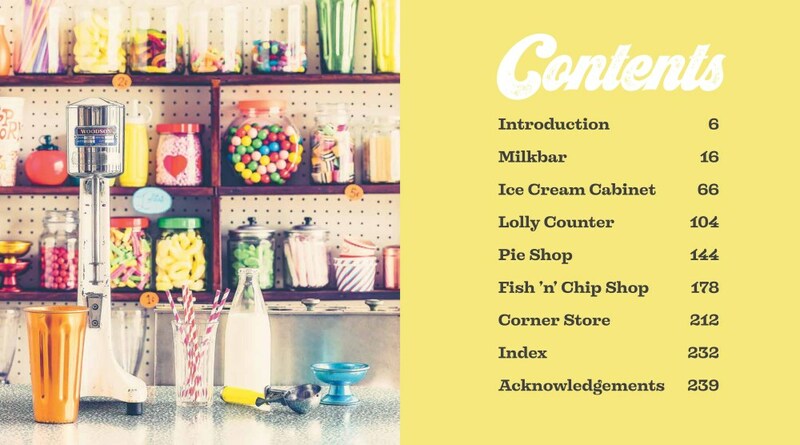 Food strongly associated with memories of simpler times: the maltiest of milkshakes; wickedly delicious lollies like musk sticks and fruit jubes; golden fish and chips; flaky-pastried meat pies and sausage rolls; vanilla slices and custard tarts. These 'fun foods' - over 120 in total- are all made from scratch with real, healthy ingredients for a 21st century audience. 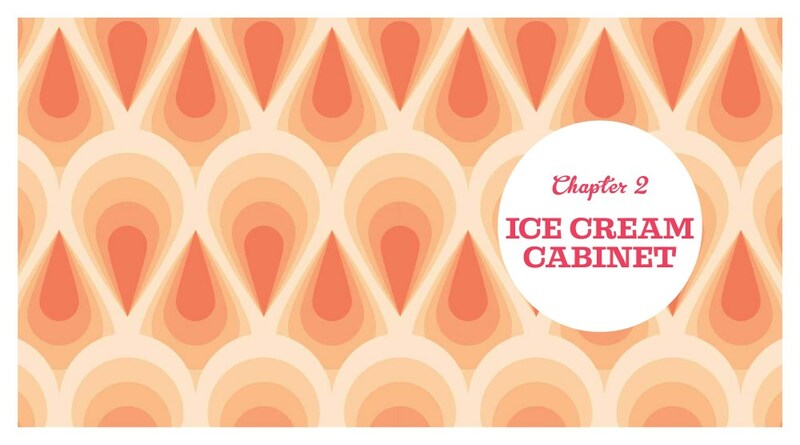 Chapters include 'Milkbar'; 'The Lolly Counter; 'The Ice Cream Cabinet', 'Fish and Chip Shop' and 'Corner Store'. Jane Lawson began cooking at the age of eight. 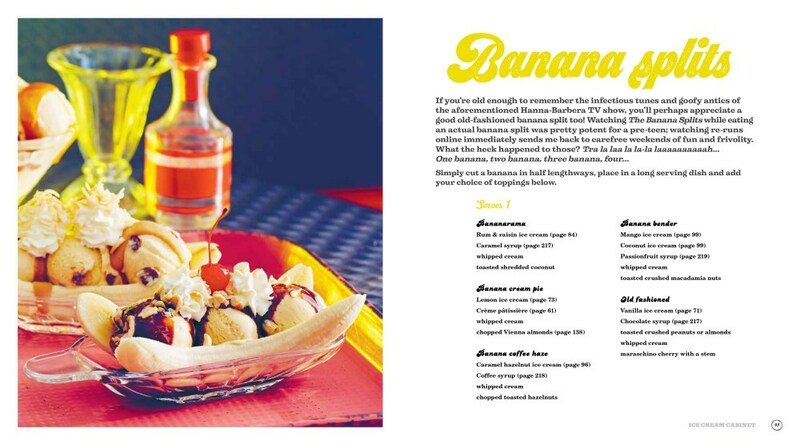 After many years working as a chef in Sydney, Jane moved into publishing, combining her love of cookbooks and cooking. Jane is the author of Snowflakes and Schnapps, Spice Market, Grub, Yoshoku, A Little Taste of Japan, Cocina Nueva, Zenbu Zen and the forthcoming Tokyo Style Guide, and is the co-author of BBQ Food for Friends, which won a Gourmand World Cookbook Award in 2003. Not just a cook book! Jane Lawson's reflections on her childhood experiences - associated with the traditional treats (the recipes in the book) - is delightful! It will open the doors of your own memory; and the noms you can reproduce thanks to this book will become far MORE than the Cobbers, Buddies, and Musk Sticks that, obviously, weren't as profound when you were a kid. This is old-school, halcyon day stuff. Embrace your past. Revel in rediscovering treats that aren't plastic and mass-produced. You won't be disappointed. Bought this as a Christmas gift for my Nan and she loves it.